Some children grow up to become great success stories, beaming with confidence. They make great choices because they believe that they’re worth it. I look back at decision points in my own life. At key times, when the peer pressure was on, I chose not to do some stupid things. Why? Reflecting honestly, it was because I thought I was better than all that. Over time I’ve realized that my parents shaped me with their words to believe that I was special. Those words carried me through awkward adolescent seasons and guided me toward good choices. Even as an adult, the affirming voice of my parents calls me to step up and be all God has made me to be. On July 6th, I ran across a Facebook post from a pastor-friend, Alvin and Christine Chun. The post was about their son’s birthday. They said how proud they were of him, how special he was and what a great man of God he was becoming. I’m telling you, things like this make a big difference! 1.) Prophesy: Sounds spiritual right? What I mean is: know what God says about your child and speak it out. Be God’s affirming voice to your child. 2.) Show up: I love it when my parents stay an extra day in town so they can be in church when I preach. Just showing up for the things that are important for your child communicates so much. 3.) Be Generous: The blessing is all about empowering your child to prosper. Financial gifts are a clear signal that you are with them and supportive. 5.) Write Notes: Old-fashioned, but powerful. We get hand-written notes from some of our parents and grandparents. They mean a lot to us. 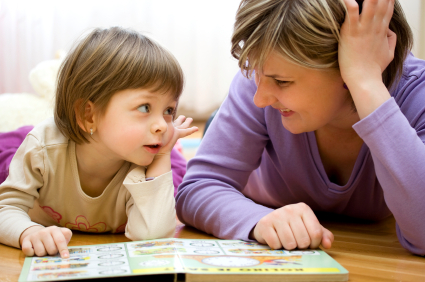 How do you use your words to shape your child? How do you release that blessing? Harrison — this is great. Not a parent yet, but I have a niece and a nephew and plan to take this advice to heart with them!